Government, Education, Retail and Hospitality industries have an ever-increasing focus on security, a need for flexibility and continual demand for efficiency. Produce durable, long-lasting, tamper-resistant cards with the sharpest photo-like image quality that boasts rich, consistent colors and strikingly sharp resolution. Industry-leading throughput allows you to print more cards faster even with dual-sided lamination and encoding. Ensure security and reduce the likelihood of forgeries with best-in-class retransfer and laminate technology including holographic images. 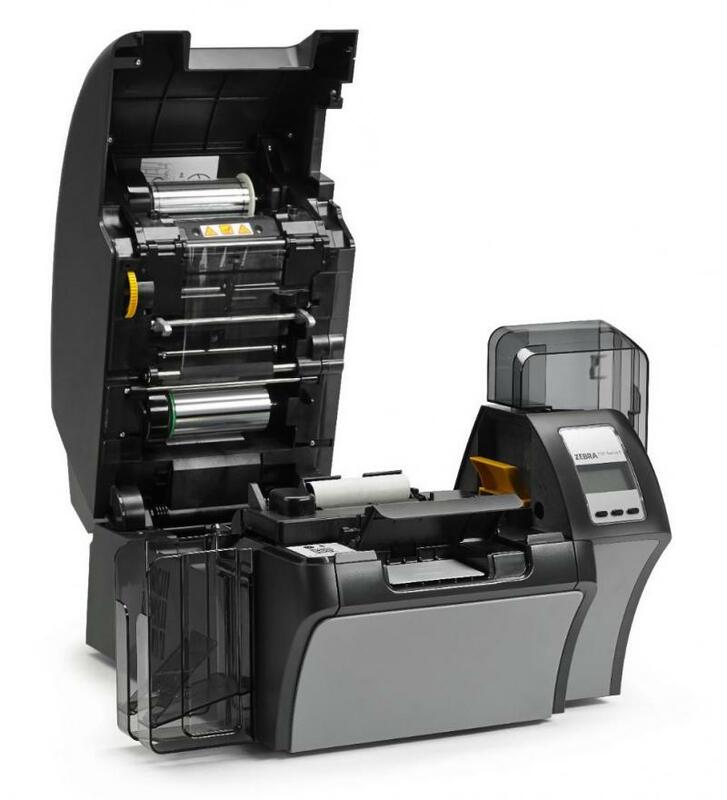 Experience extremely low cost-per-card operation with Zebra's patented waste-free laminate technology featuring linerless media with a single core and no carrier. Reduce waste by 50% and save up to 30% in costs compared to the competition. 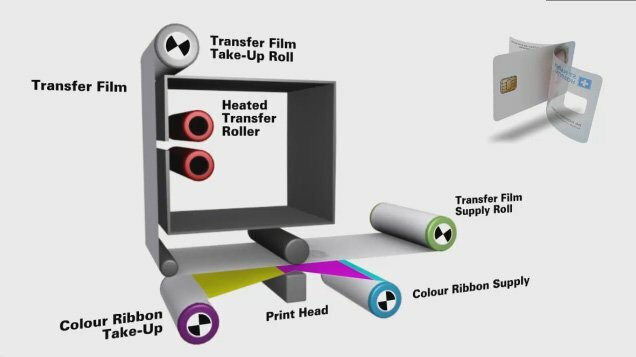 Zebra's patented dual-sided, simultaneous retransfer printing design eliminates the need for the printer to mechanically flip cards during production. This engineering makes throughput even faster, and it reduces the risk of costly mechanical errors and card jams. Featuring multiple connectivity options including standard USB and Ethernet, along with optional Wi-Fi� (US and EU only), the ZXP Series 9 gives you the added flexibility you need to relocate your printer anywhere within your network. And, the printer's new user-selectable print quality mode gives you more options and control. 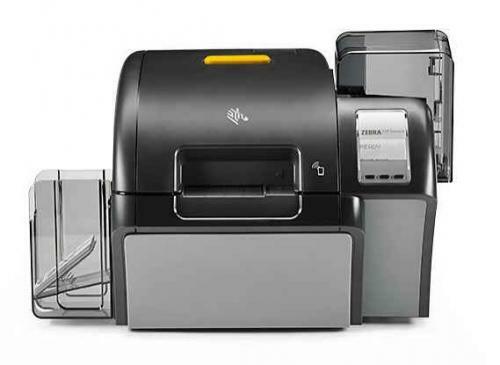 Zebra's exclusive Color Predictive Technology (CPT) delivers superior, photo-like image quality. 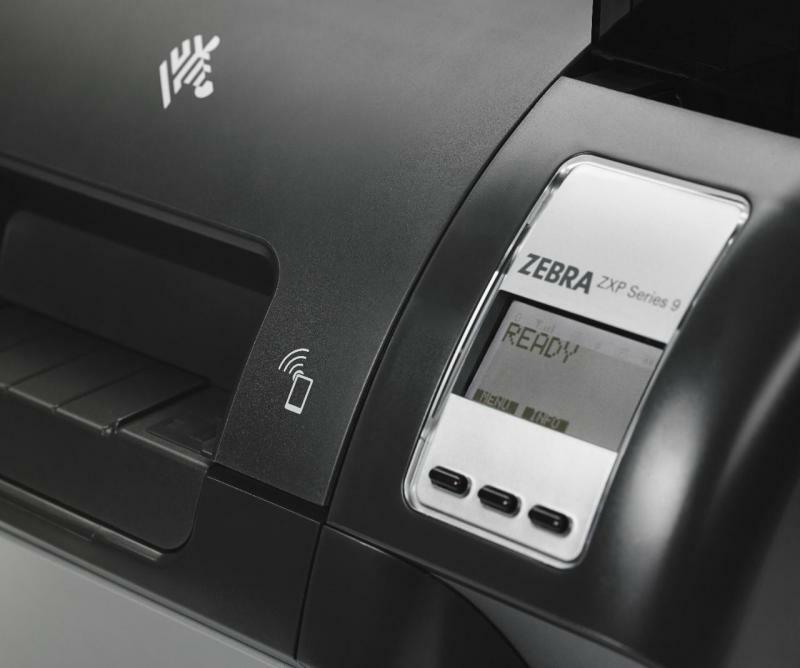 Based on patented image-processing algorithms, Zebra's CPT constantly monitors printing and instantaneously adapts printer settings to automatically produce the highest print quality time after time, card after card. 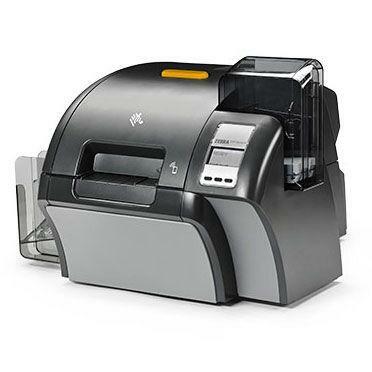 The Zebra ZXP Series 9 Retransfer Single-Sided ID Card Printer features a 2-year warranty.